I do think that sometimes fate determines when you see a book. I had never heard of ‘Fun Home’ by Alison Bechdel until Rebecca Makkai recommended it when she did her Savidge Reads Grills. A mere week or so after that I was on the book barge and what did I see? Yes, ‘Fun Home’ by Alison Bechdel, and Sarah very kindly said I could have it (along with ‘Trilby’ by George Du Maurier – lovely stuff) in exchange for the M&S picnic I had brought. I offered to pay for these, the look I got told me it was completely out of the question. So like I said, sometimes fate seems to thrust a book in your direction. Sometimes it then takes you several months to read it but never mind. 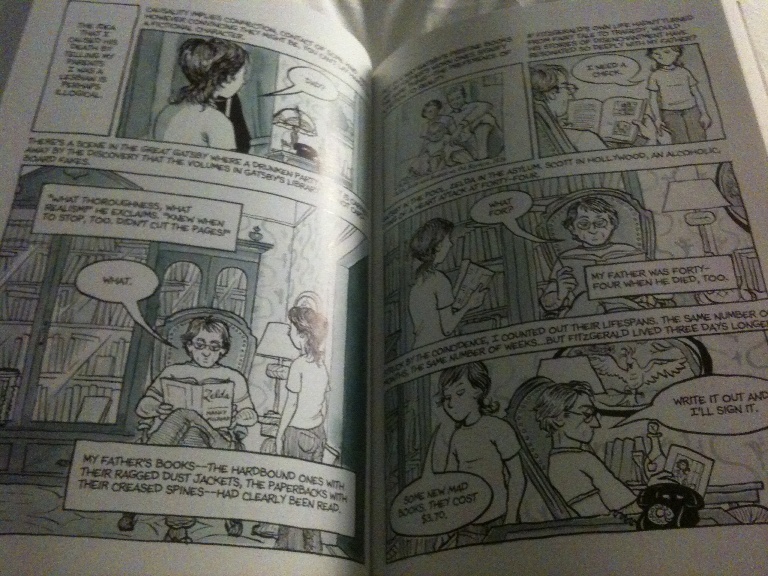 ‘Fun Home’ is Alison Bechdel’s memoirs told through a graphic novel, which was a concept that I found really intriguing. It was also one I wasn’t sure would work, would I feel an emotional connection with the images in front of me, or could this read like a cartoon? I can now say that ‘Fun Home’ is in the latter category and as I followed the fictional/illustrated/memory drawn Alison from her childhood, when after inheriting it her family all moved into the family business… a funeral home, to her dealings with the death of her father and their relationship and indeed her own sexuality, the latter she discovered interestingly through books. It’s hard to say any more on the novel than that. Though it does feel like a novel and I pondered, with all its references to Camus, Fitzgerald and other authors (who Alison’s dad loved and seemed to add the personalities of to his own) if the influence and subsequent love of books gave it that extra edge? It could of course simply be that this is a blooming brilliant novel regardless of its form and that I instead shop stop the subconscious part of my brain which says ‘this is a graphic novel, thats not quite the same as a normal novel’ and get over it. I think I have because I was read this like a novel, I didn’t just sit and read it in one go, I would read a chapter here and there as usual and was thinking of it when I put it down, not as a graphic novel but just as a book I was enjoying. It is hard to say anymore about the book really without spoilers. It has that mixture or coming of age memoir, gothic reminiscence and family tragedy and comedy that I love when I find just the right combination of. 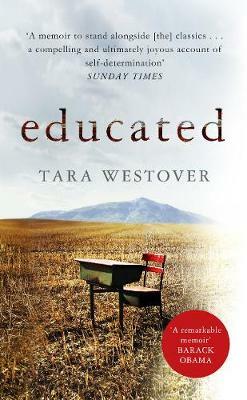 I laughed out loud but it wasn’t saccharine, it was honest without being malicious or brutal, it was emotional without being woe-is-me and I liked the tone of the book. 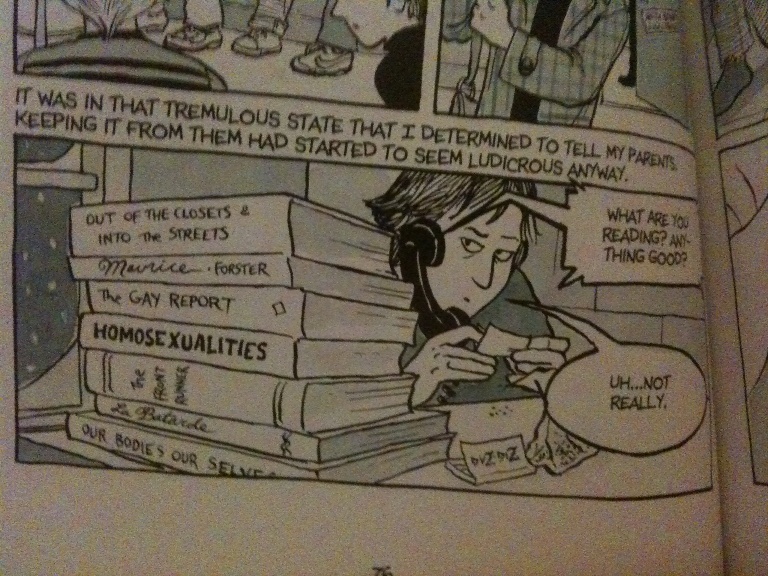 I liked Alison Bechdel and I wanted more of her story. I used to think that graphic novels were just really big comics for grown up kids, its examples like ‘Fun Home’ that continue to prove my wrong and show that graphic novels can offer you the full formed personality of characters and evoke their situations and the atmospheres that they are surrounded by. People are probably rolling their eyes at that but that has been the case on the whole for me until now, though other graphic novels have been good they have never felt like the give everything that a normal ‘book’ does like ‘Fun Home’ has, and here I must mention ‘Blankets’ by Craig Thompson, where the images become fully formed and not just the illustrated escapism in front of your eyes. I am hoping people might now give me lots of suggestions of other graphic novels in this vein that will keep proving the former graphically challenged me wrong. My co-conspirator on ‘The Readers’, Gav, has recently been saying how brilliant ‘The House That Groaned’ by Karrie Fransman is. Has anyone else read that one and can concur? Any other graphic novels I should be looking for?